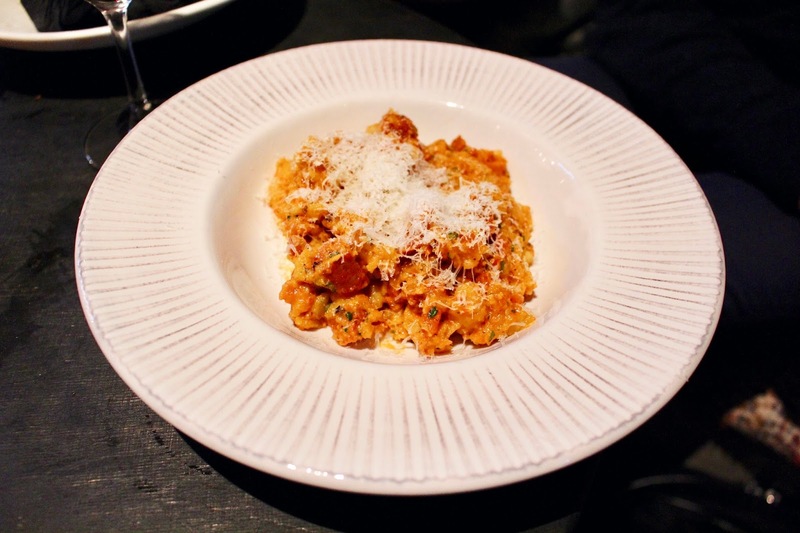 I'd been wanting to go to Veranda since I first heard about it about six months ago. 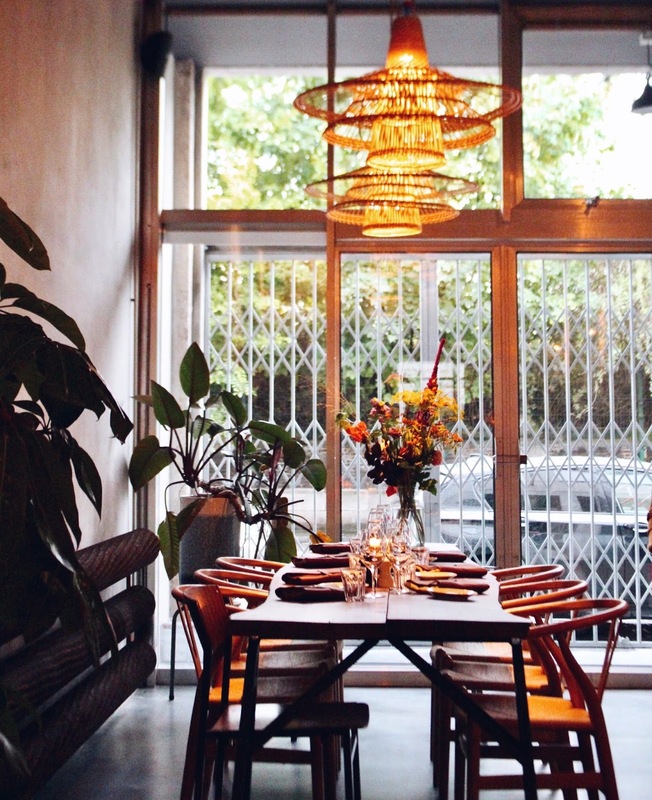 It's one of Antwerp's only fine dining restaurants which serves natural wines, and since I've grown to appreciate natural wines, I was curious to try it. Veranda is not a place you'll find by coincidence. It's hidden in the northern part of the city, it's not backed by a big PR machine and the subtle logo above the door is the only thing that hints at its existence. Veranda is the kind of restaurant you'll hear about by word-of-mouth, which in my opinion, is usually how you discover the best places. 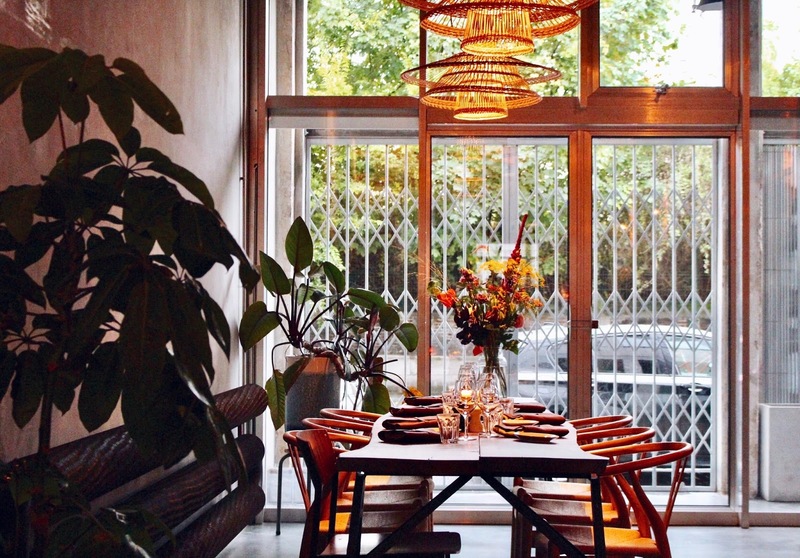 I wouldn't necessarily think of the Park Spoor Noord area as a culinary hotspot (though it's the slaughterhouse area), but still, the owners of Veranda chose to move their restaurant there from Berchem. In a way, it's kind of nice that it's not in the center of Antwerp because you don't have any traffic or parking issues. The narrow façade is deceiving because the restaurant is quite big inside, starting with a family-style table in the entrance, followed by the bar area and then the restaurant/open kitchen area which stretches over three spaces, including an outdoor courtyard. You can either make a reservation to eat in the 'restaurant', which is a 5-course dinner menu for €55 or a two to five-course lunch menu, starting at a reasonable €27. 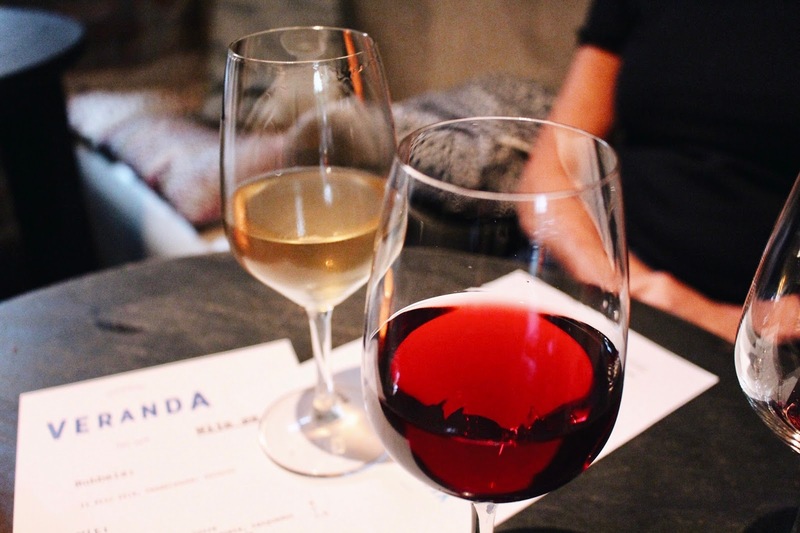 Alternatively, if you take a seat at the bar (no reservations) like we did, you can enjoy some small dishes to share and of course all of the natural wines. The sommelier kindly let us sample some natural wines. We all went for different ones, my favorite of the night being Les Essards Noirs, Les Roches Seches. 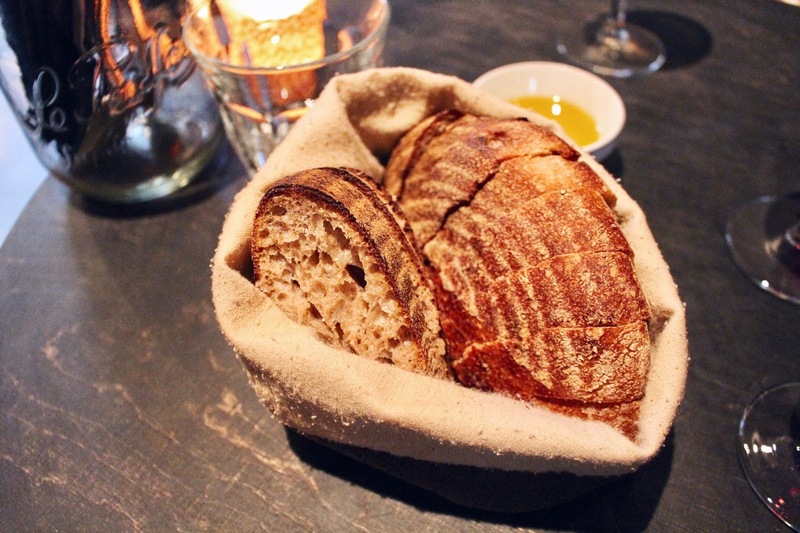 We then ordered a bunch of small dishes, starting with one of the best sourdoughs I've ever tried. The perfect crunchy crust and kind of soft and sticky inside. It took the chef some time to perfect the recipe, but I can tell you it was worth it. 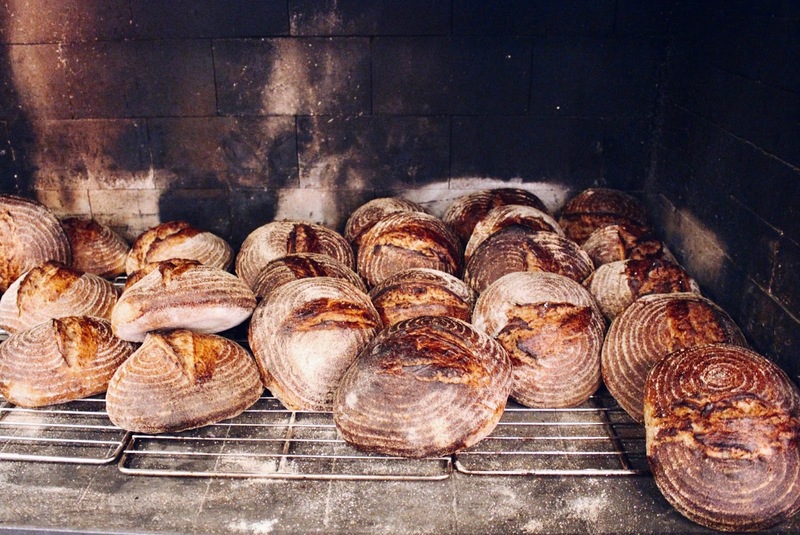 I had to investigate further and spotted these loaves of sourdough in the kitchen's fireplace. I was tempted to steal a couple, but seeing as I was standing inside the kitchen taking this photo, with all the cooks watching me, it was wishful thinking. If Veranda were to open a bakery, I'd be the first customer! 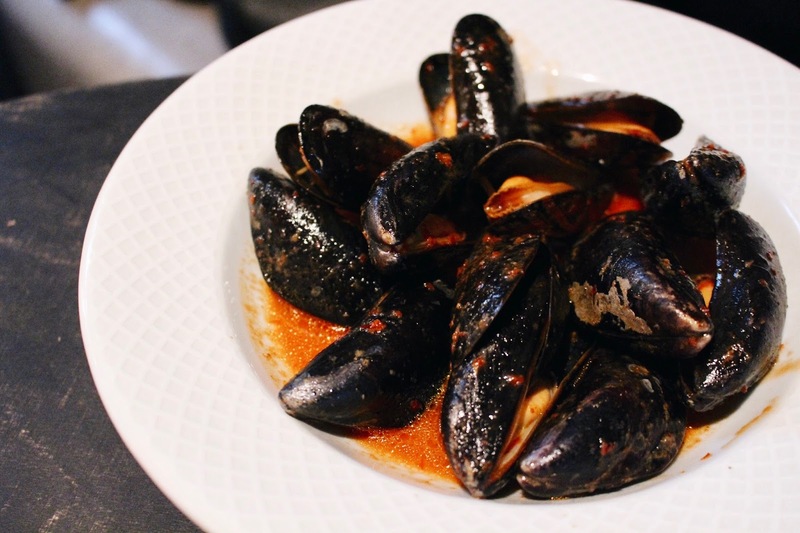 Some more small dishes followed- mussels with harissa. Warm potato salad, chorizo, feta. 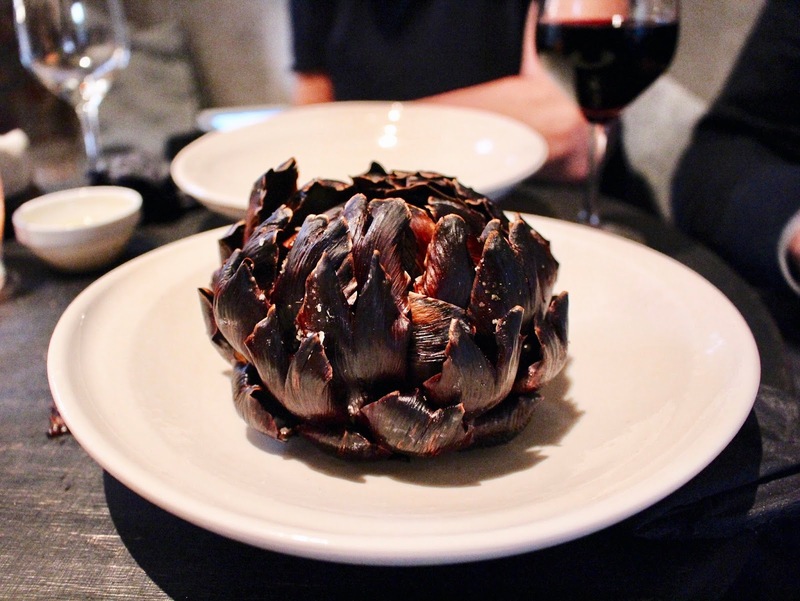 And last but not least, wood-fired artichoke with a caper/bacon vinaigrette inside. This was probably my favorite dish of the night, despite it containing bacon. 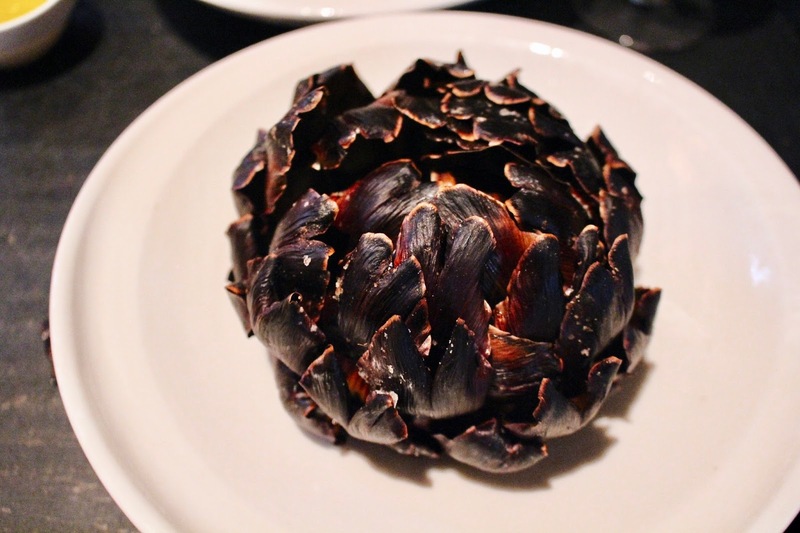 I've never seen artichoke being prepared this way, so it's a totally different taste. A really good surprise. Doesn't it look so beautiful? They cut away the smallest leaves inside as well as the fuzzy part, so after eating all the leaves you can go straight to the artichoke's heart, the best part. With three people and six dishes we had actually eaten enough, but that's because the dishes we tried were quite rich in flavor. Everything we tried was delicious. If I could make one remark, it's that I was missing some lighter options on the menu. I'd much rather eat vegetarian, but there weren't too many options to choose from (okay there were two pasta options but I had a pasta overdose in Italy). I think that the menu changes often, and they always have new specials, like the artichoke, so I'm curious to see what they'll come up with next time I go. 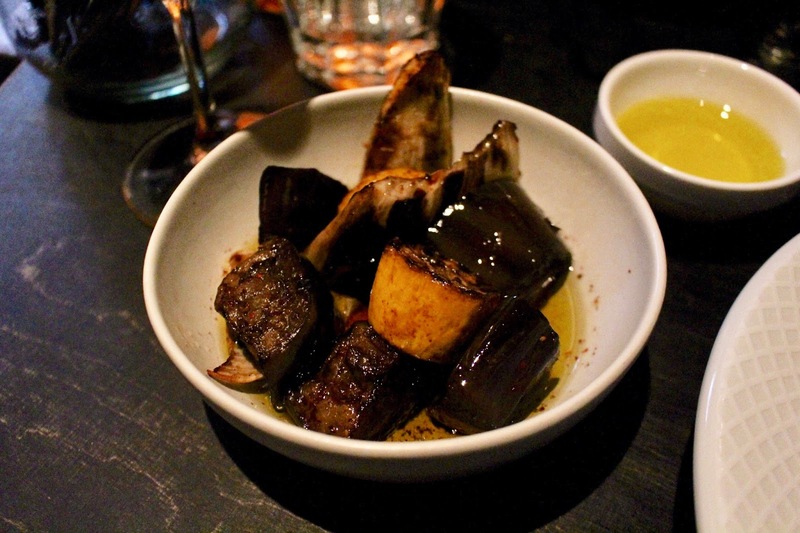 If the bar is only a little taster of Veranda's dinner menu, I can't wait to go back. I like the fact that they serve natural wines because it makes the meal more interesting. 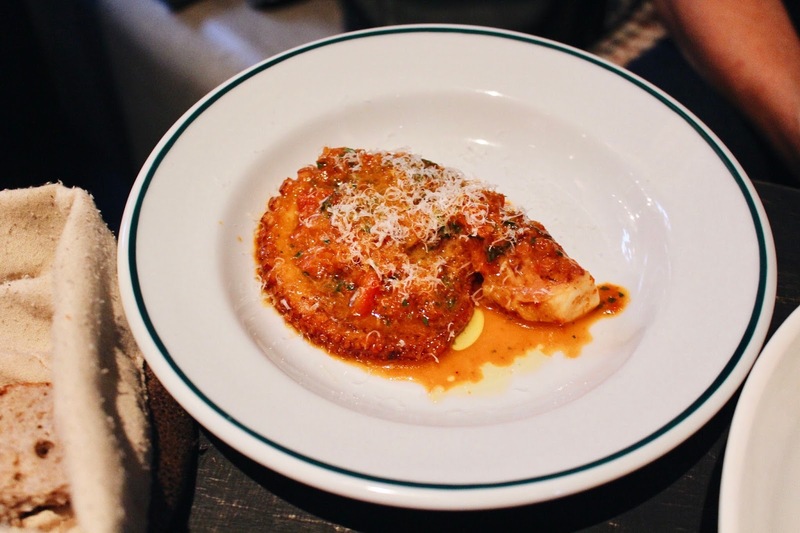 Also, the restaurant design is beautiful, the staff and cooks really seem to be enjoying themselves and there's generally a nice relaxed atmosphere, which is not always the case in fine dining restaurants. It's definitely one of the best restaurants I've tried in Antwerp, so I'll be back soon!